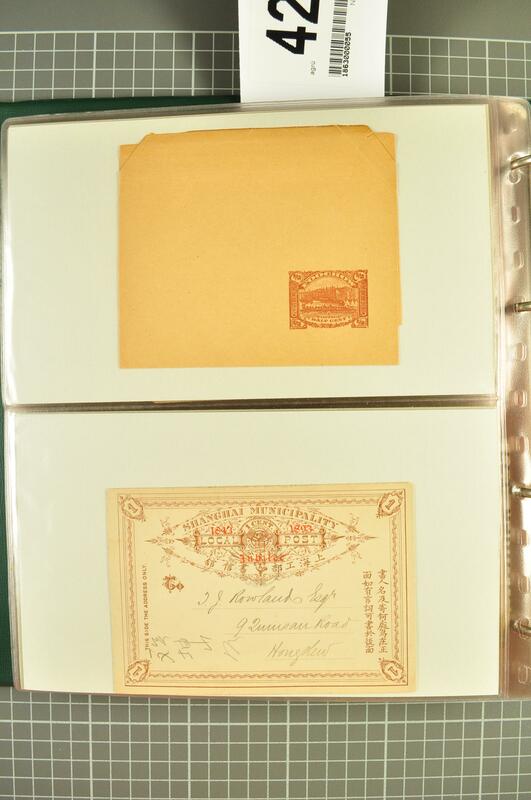 1897/1950c. 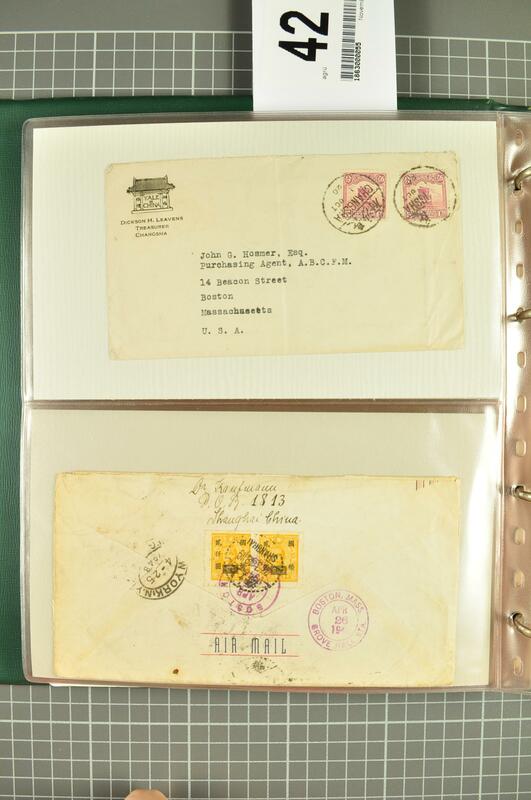 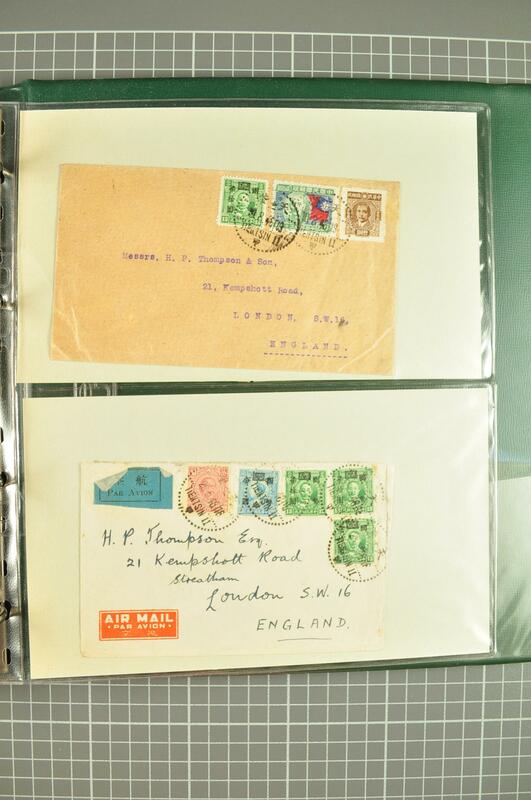 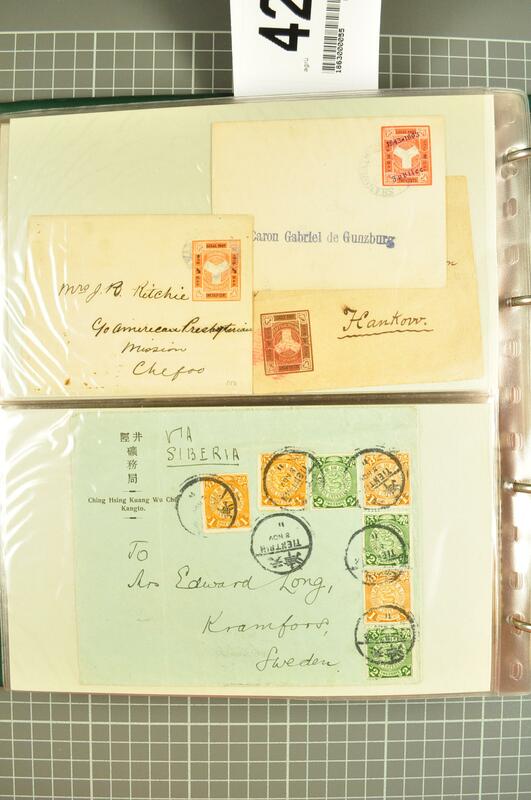 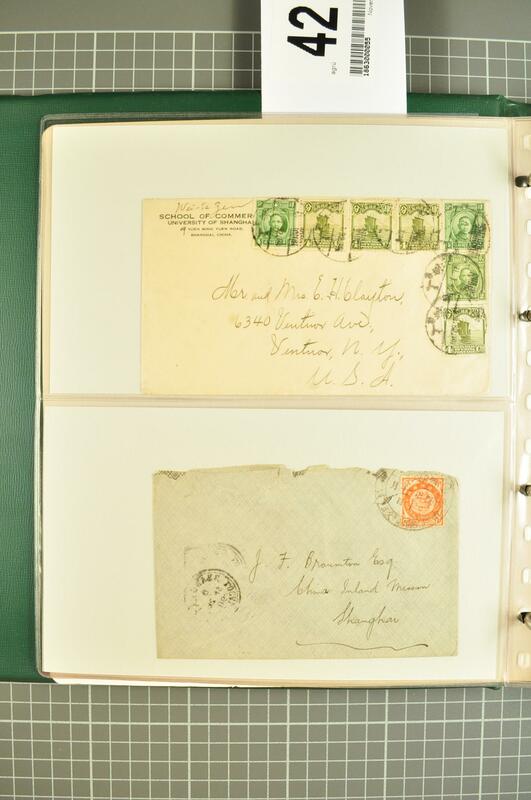 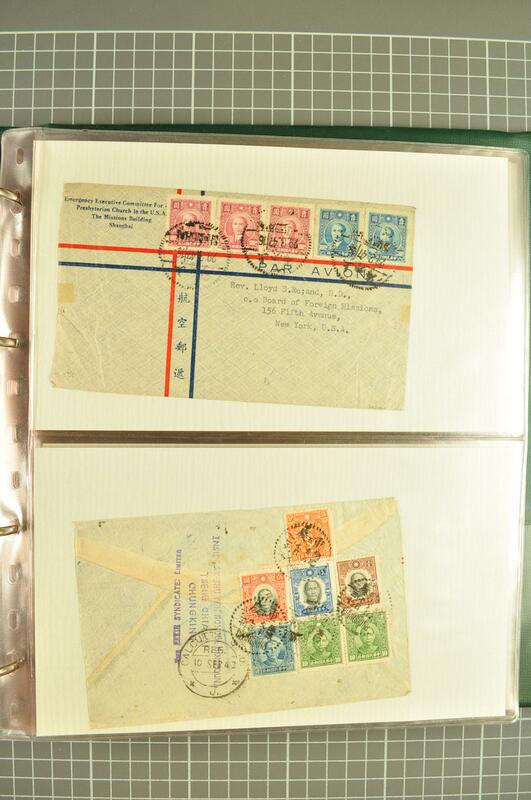 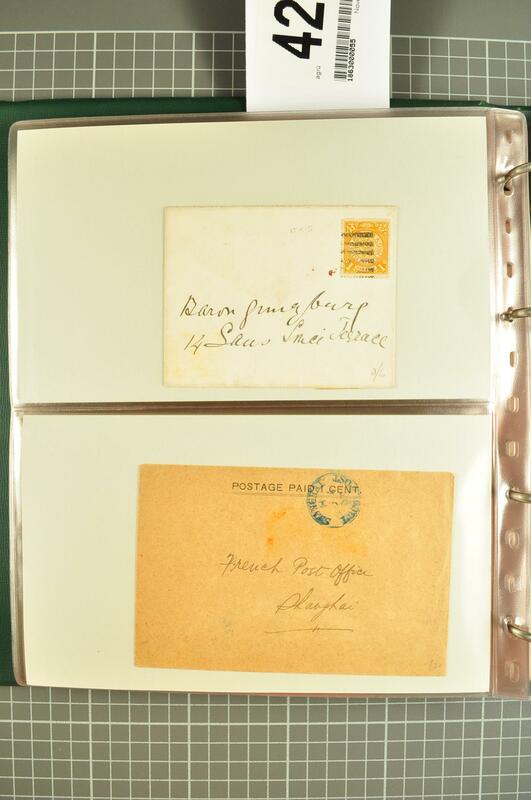 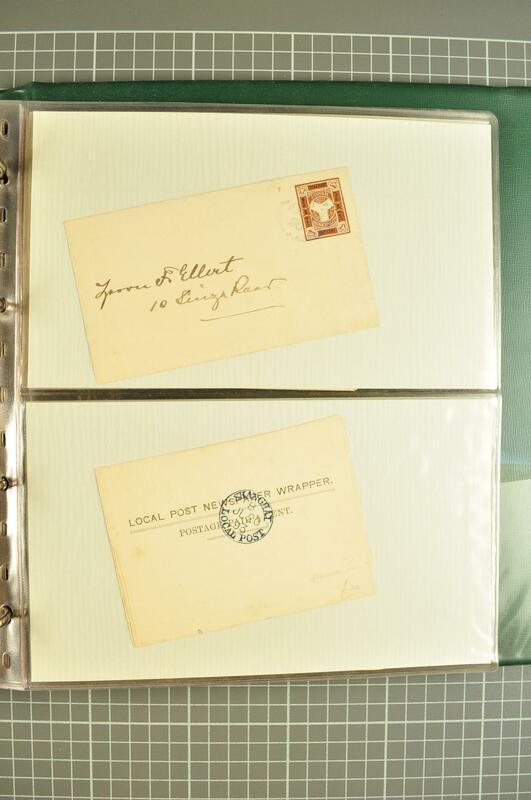 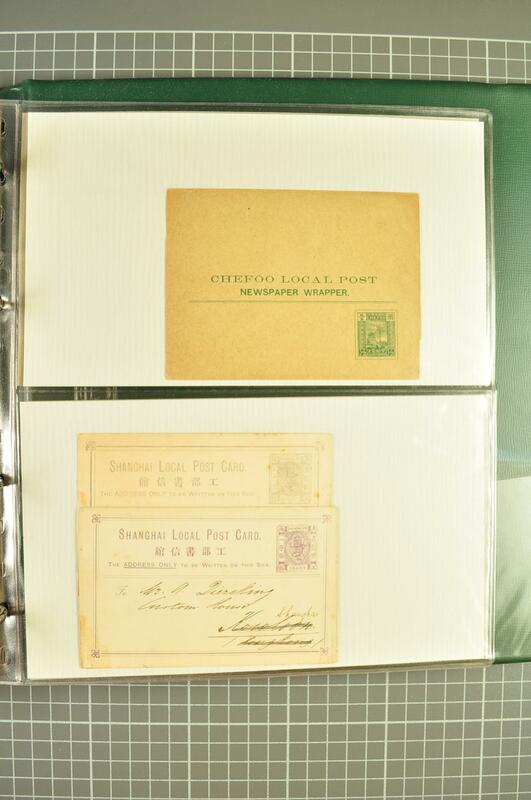 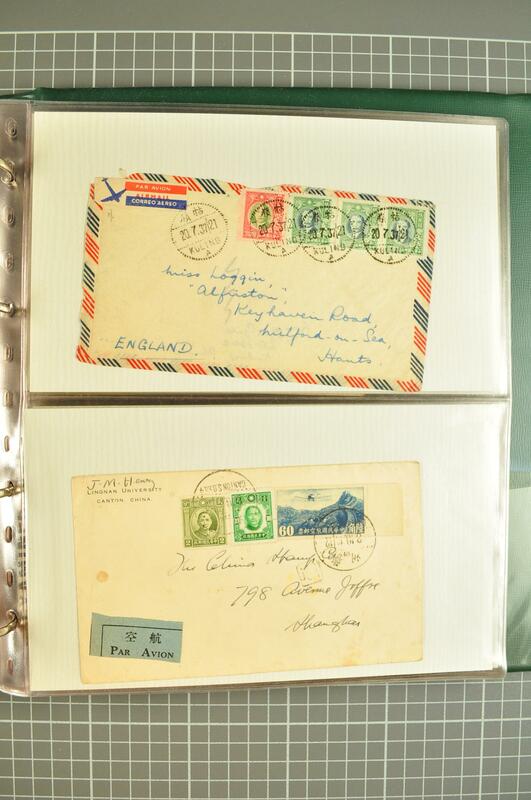 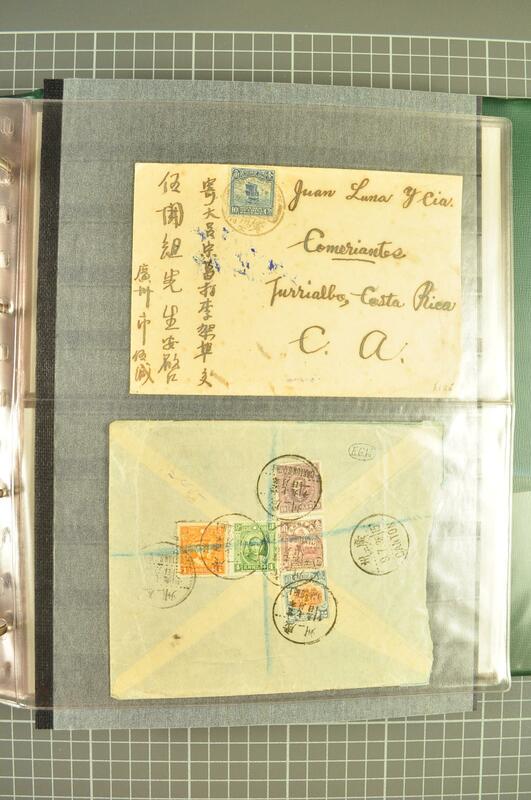 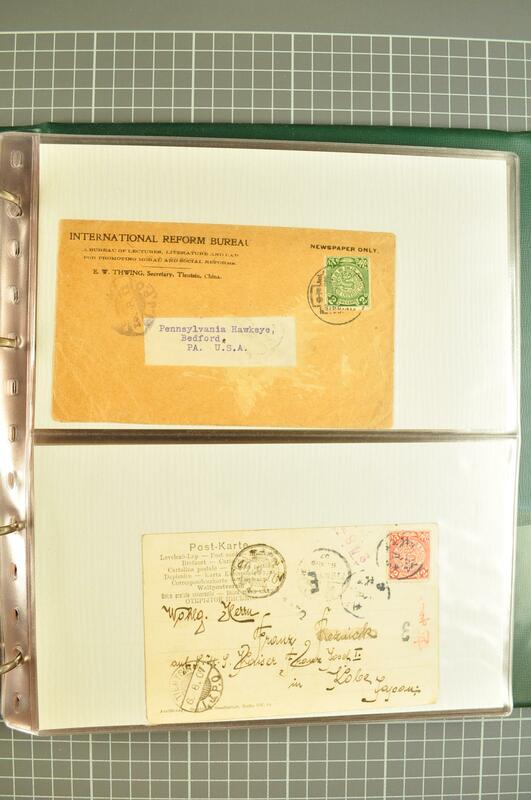 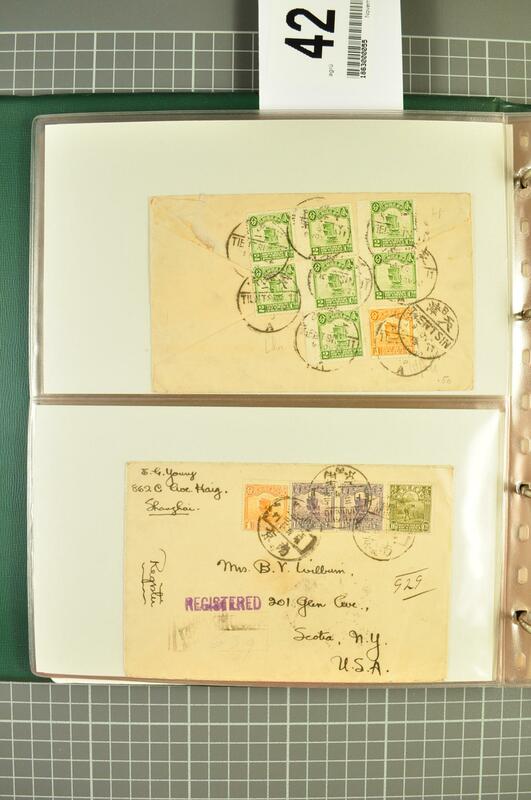 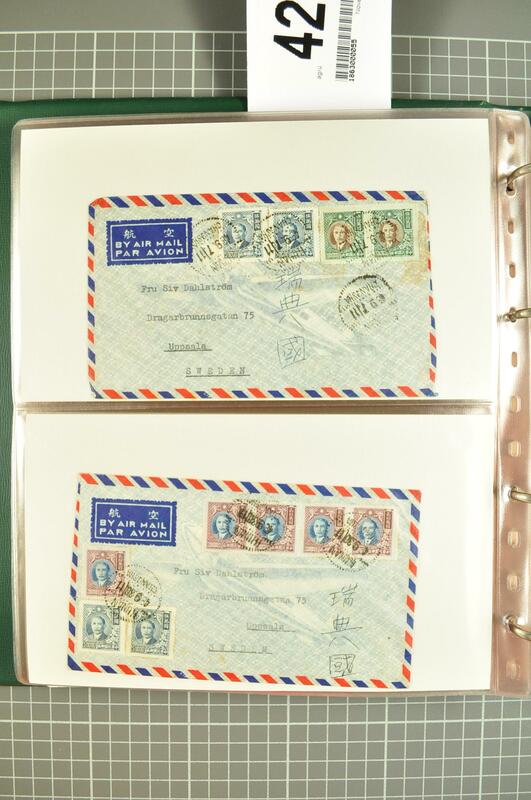 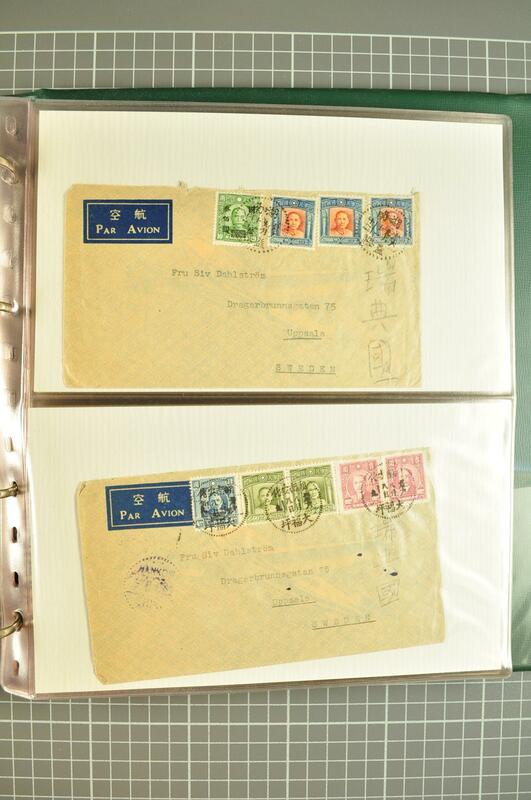 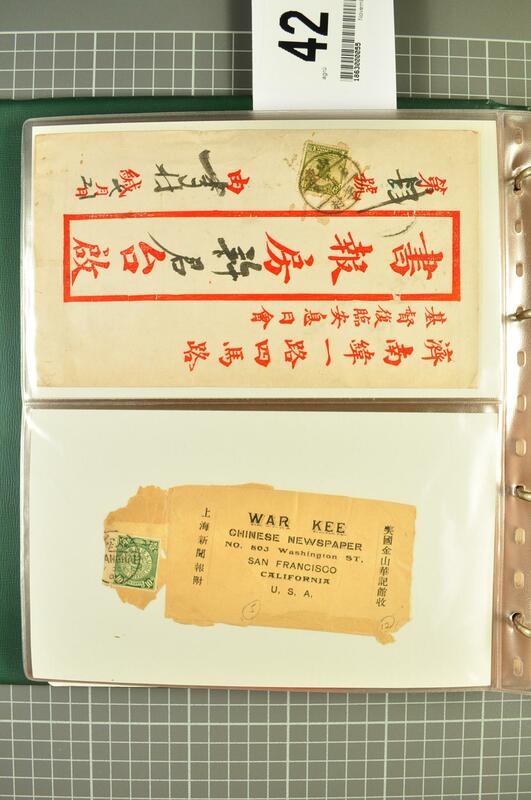 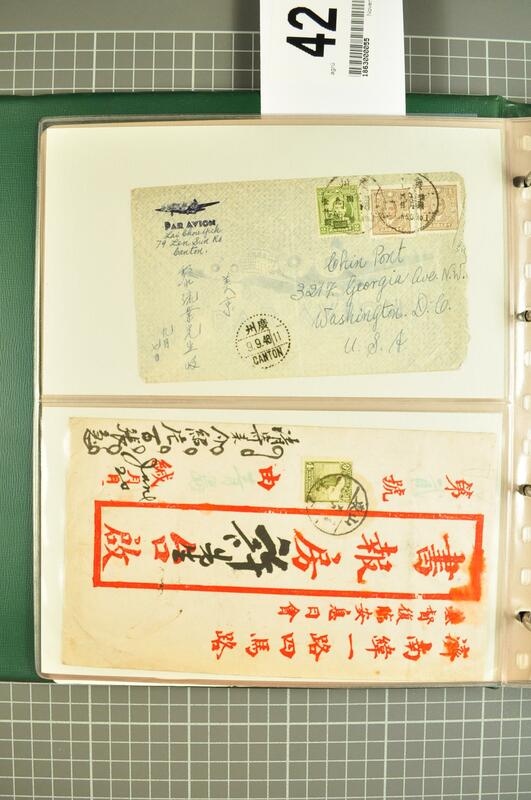 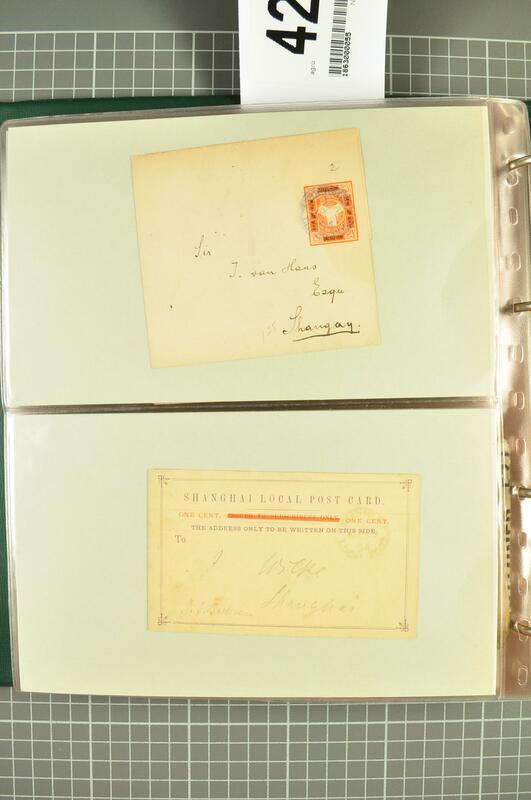 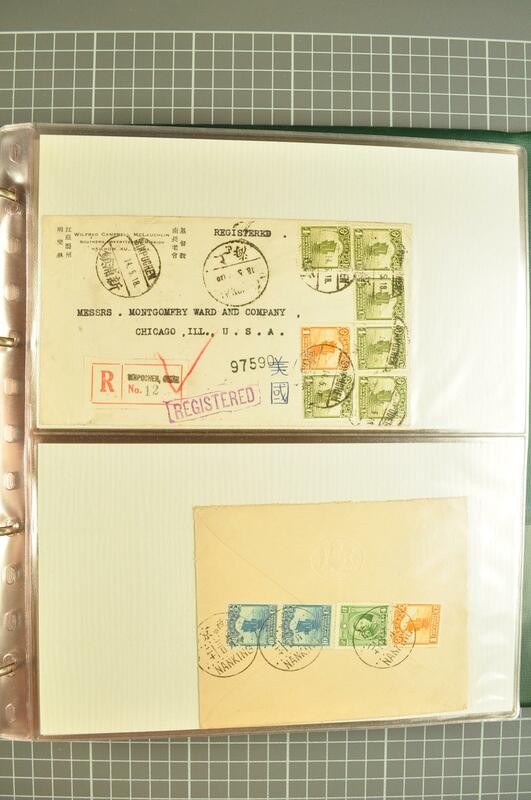 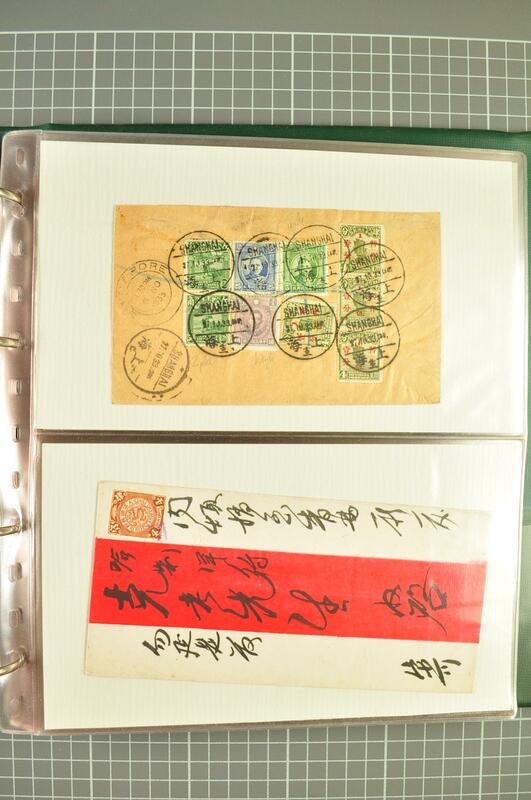 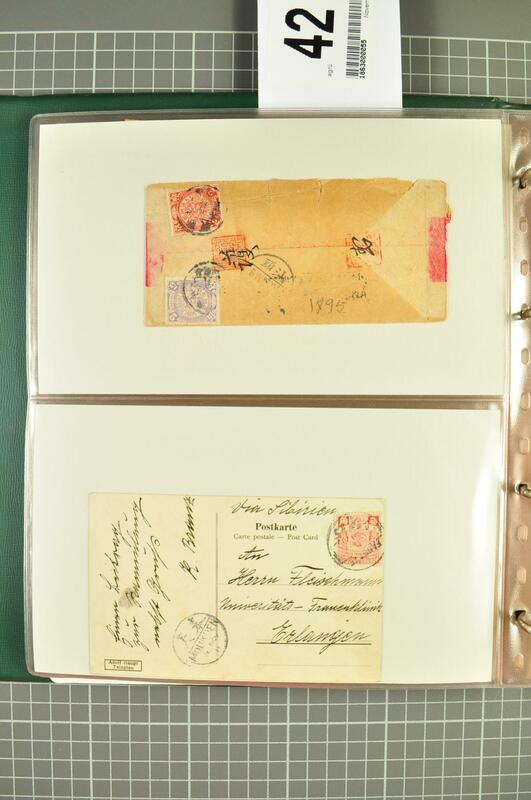 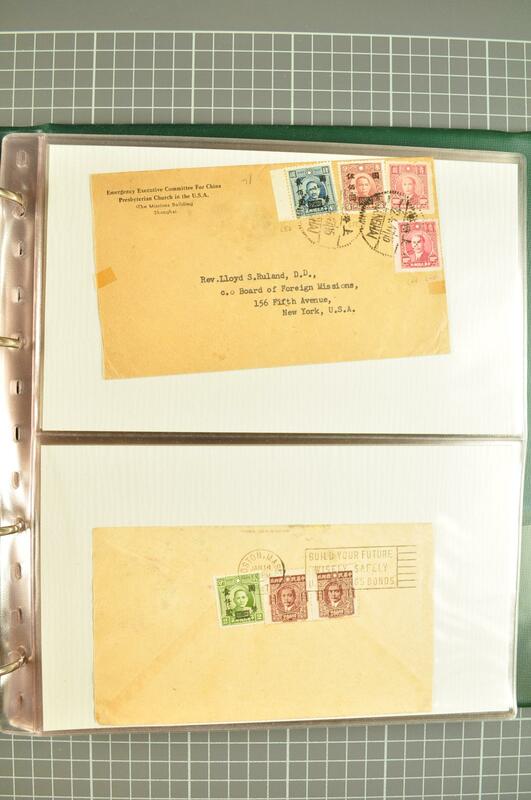 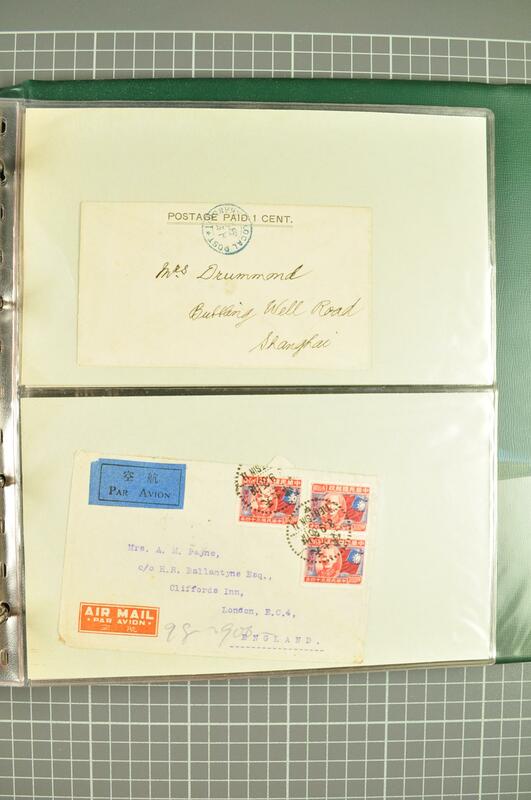 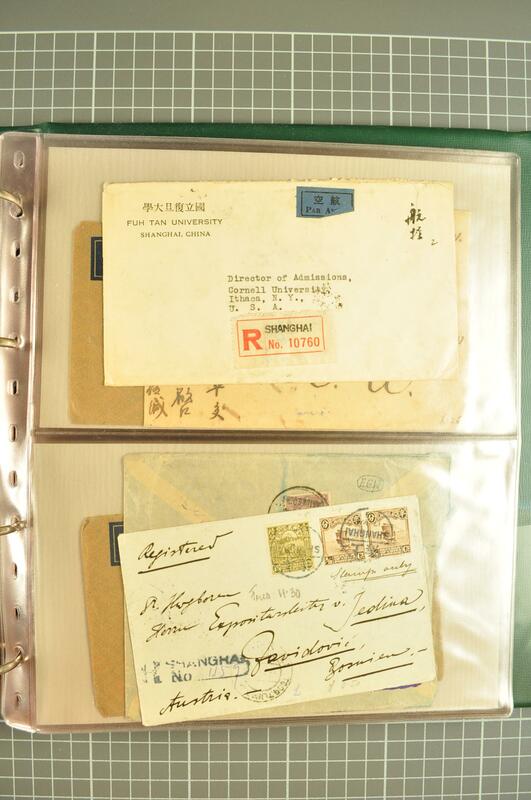 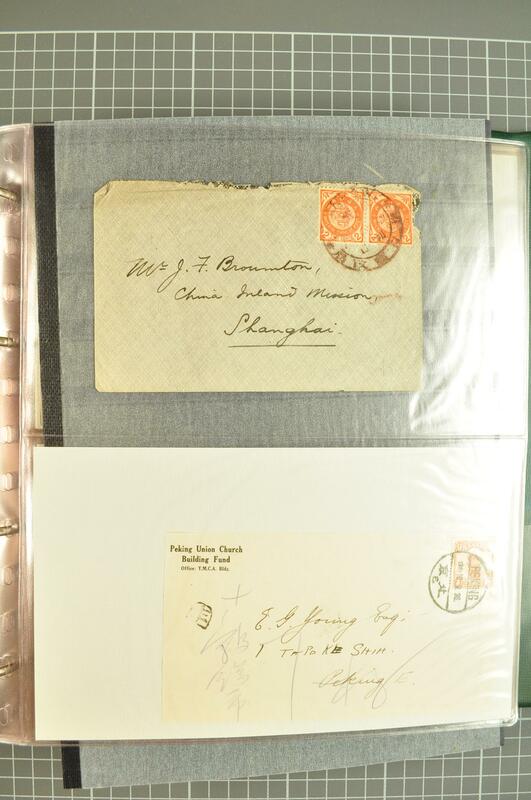 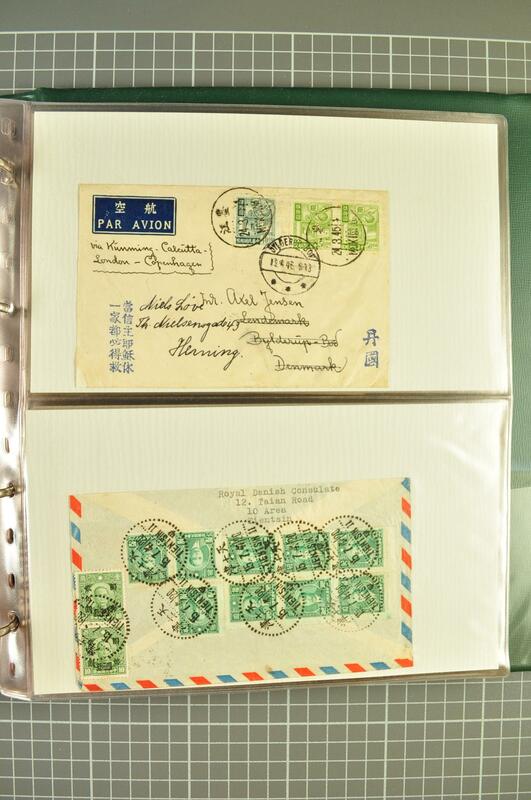 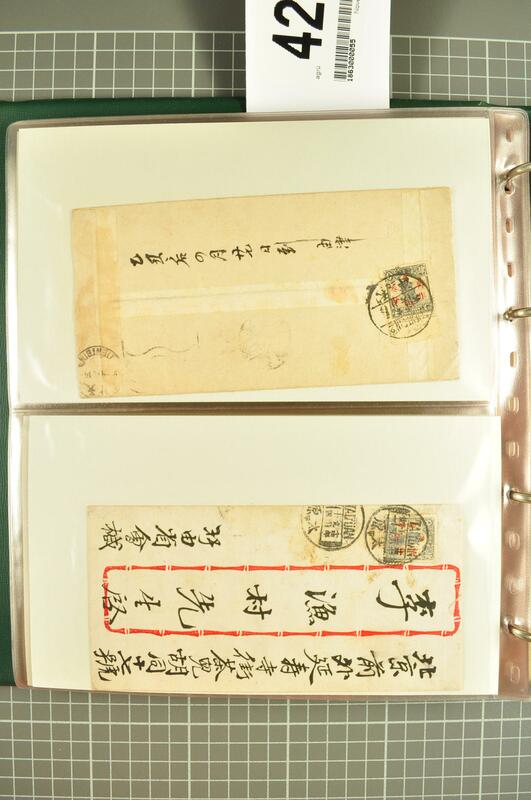 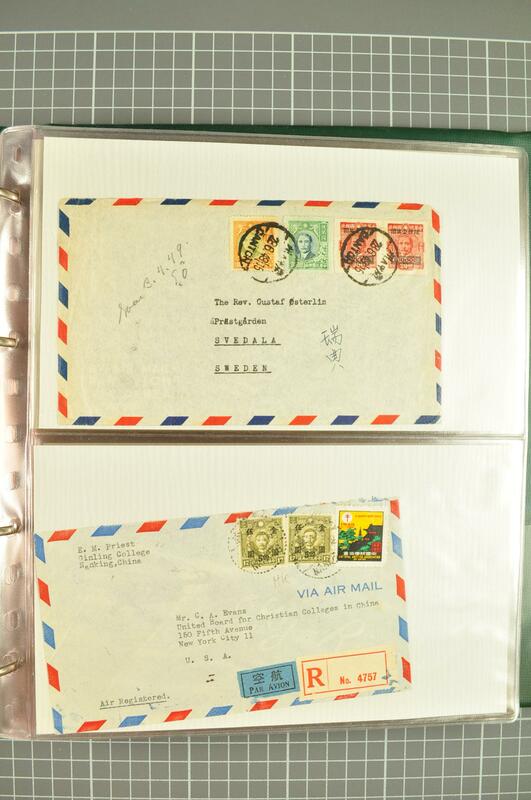 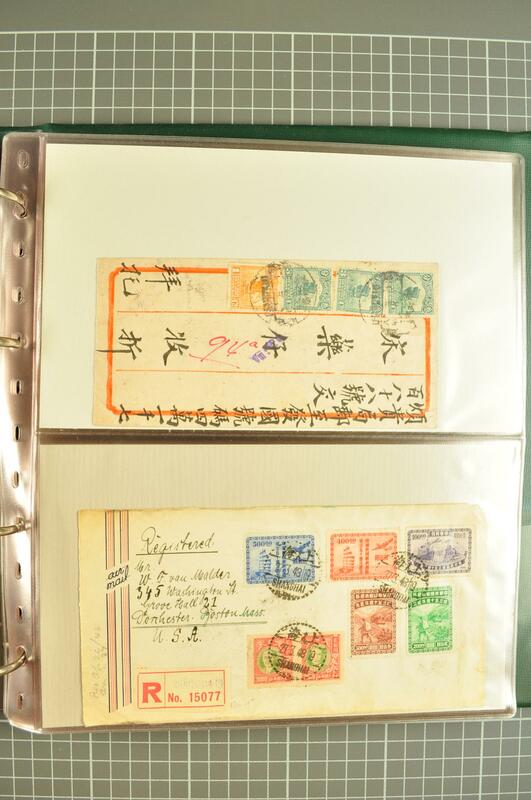 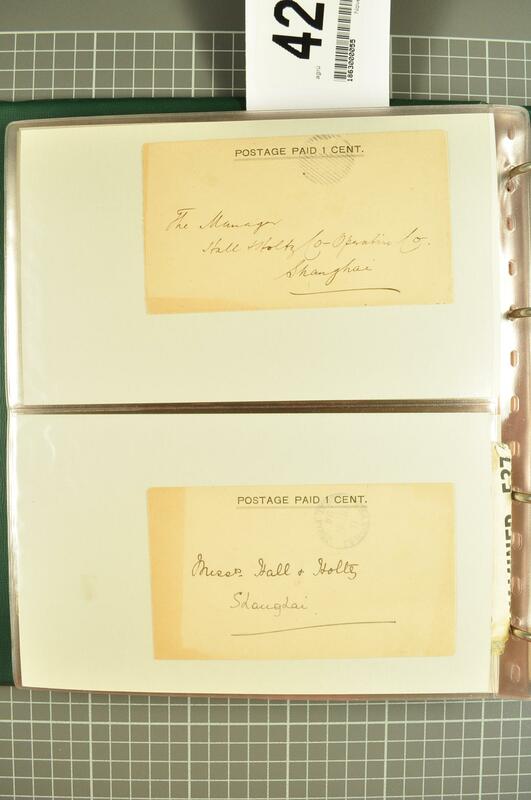 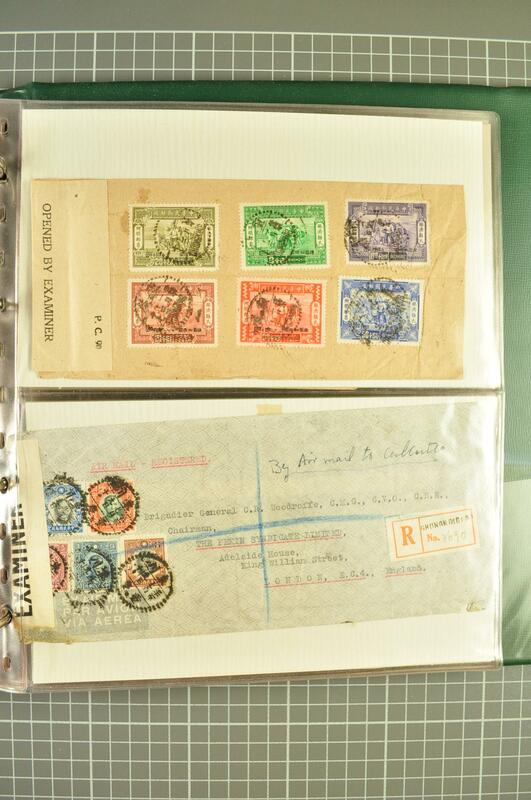 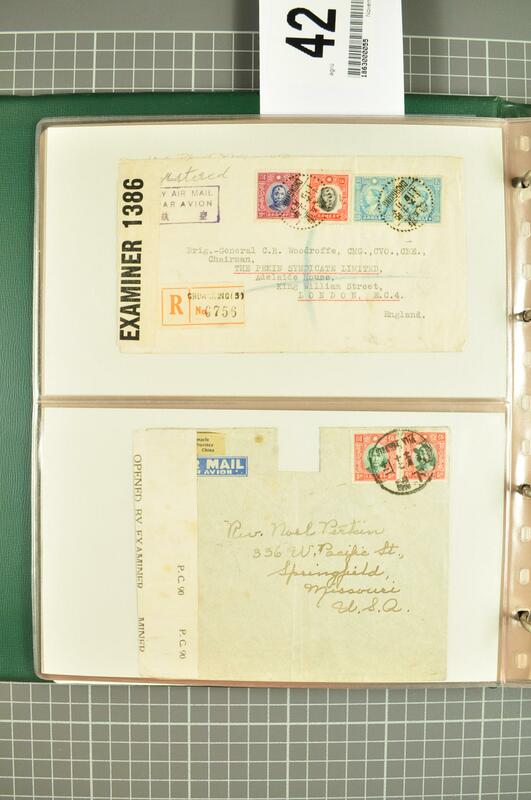 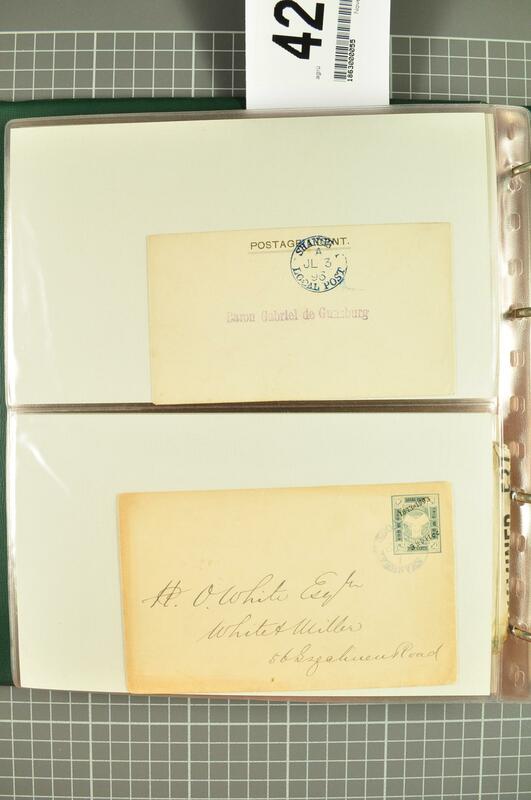 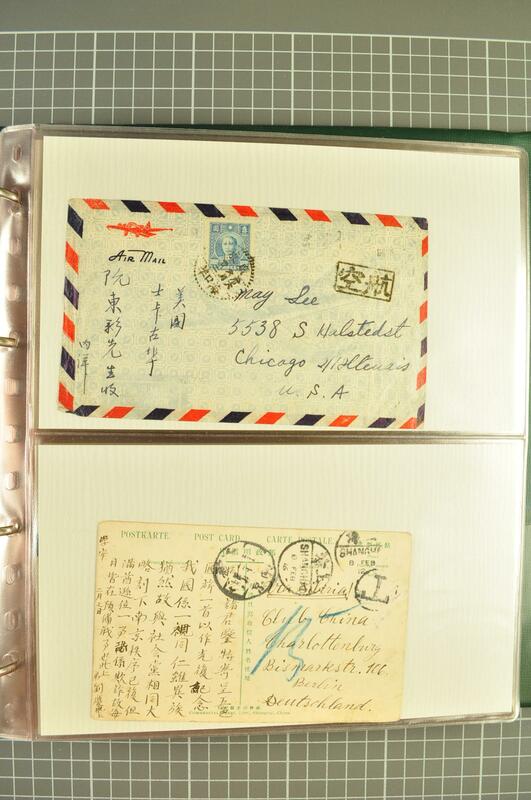 : Collection of Postal History in a green album, with covers/cards (73), including Shanghai Loal Post covers and cards used, 1897 Imperial Chinese Post 2 c. on covers cancelled by Dollar Chops, 1944 War Refugees Relief fund set of six on cover from Chunking, 1949 cover with Anti-TB label tied, internal and external usages including destinations such as Bosnia, Costa Rica, Denmark, Germany, GB, India, Japan, Sweden, USA. 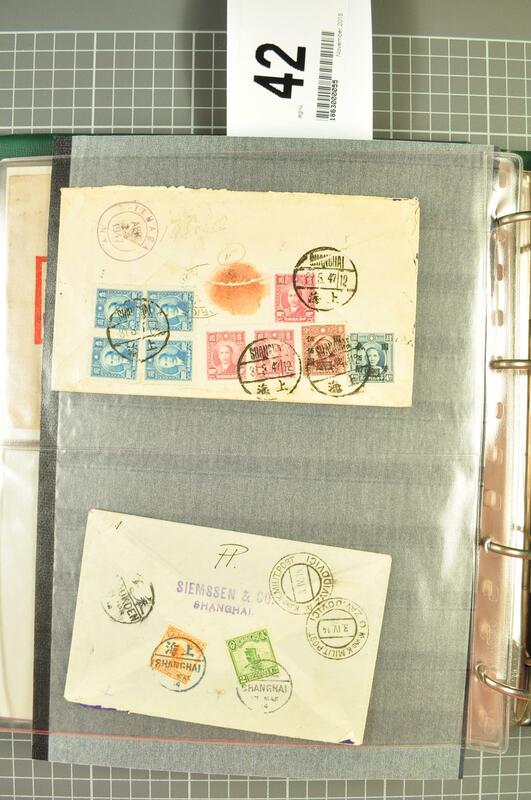 Condition varies but an interesting lot.